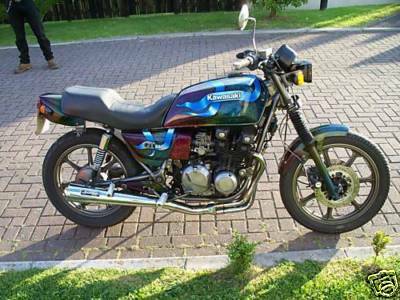 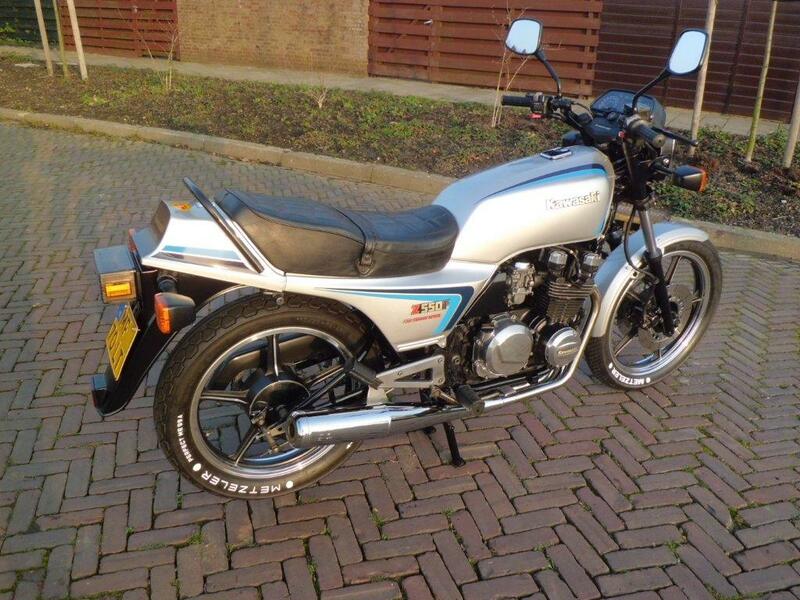 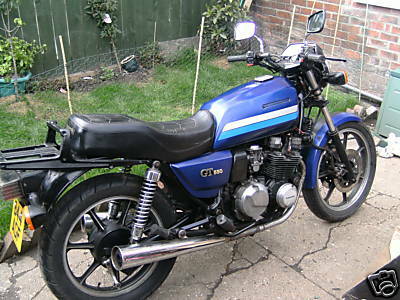 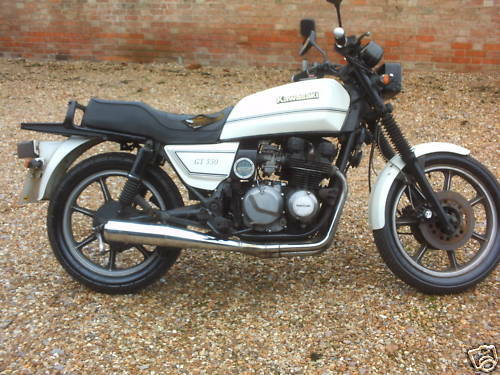 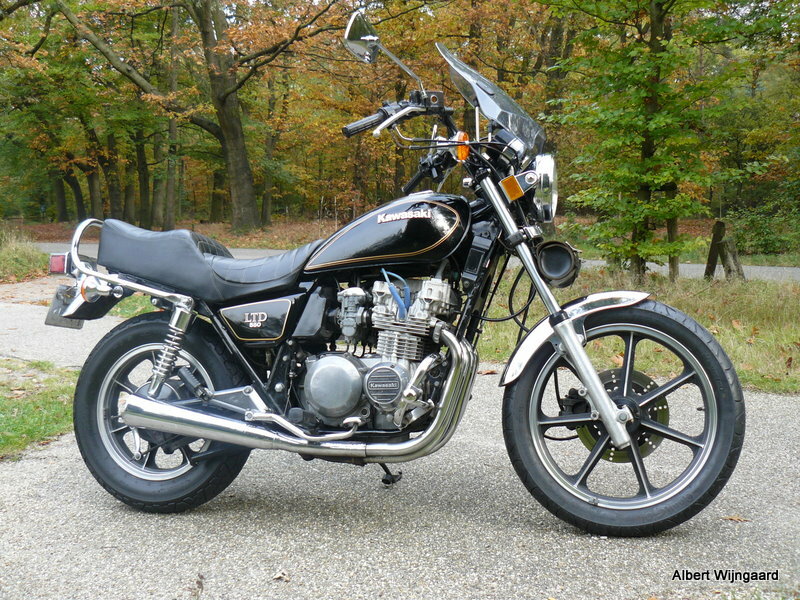 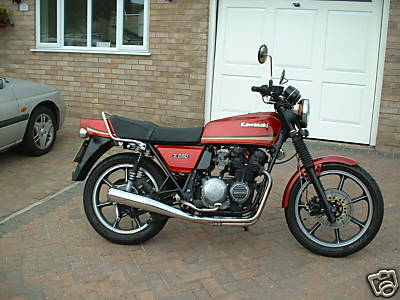 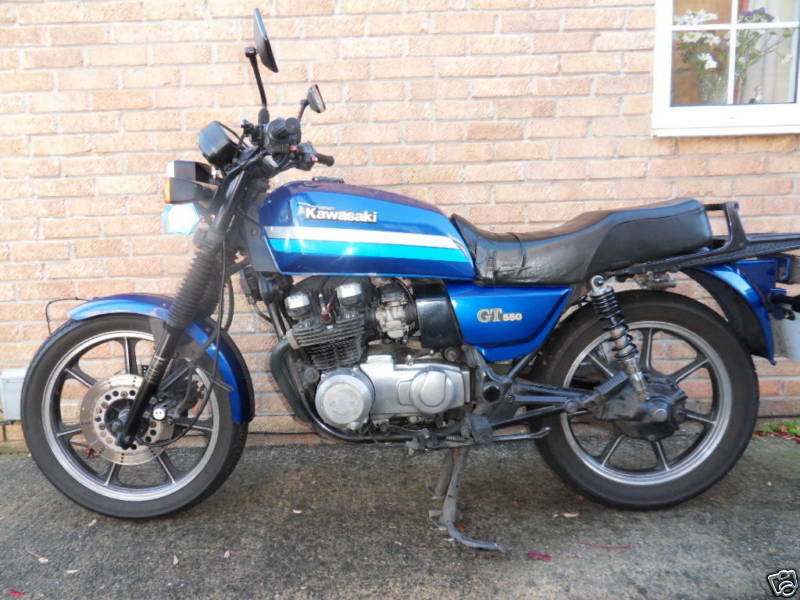 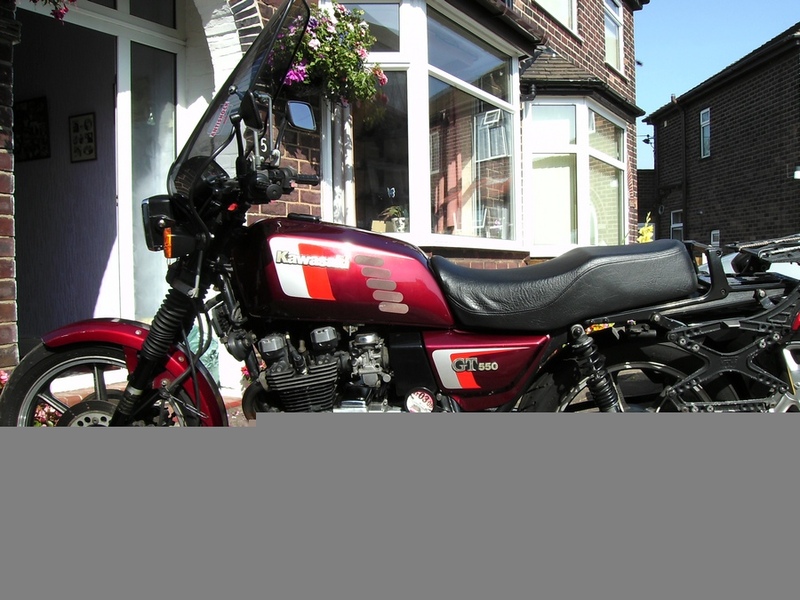 updated 1980 version of the earlier, unsung 500-4, the z550 was to suffer, in its turn, from the attention given a few months later to a more developed model, the gp550. 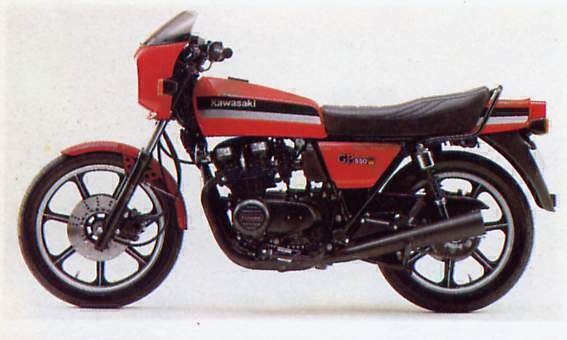 but in the period before that startling newcomer arrived, the 550 was able to establish something of a reputation for itself as a crisp-handling middleweight giving away very little in speed to the old-established 650 from the same factory. 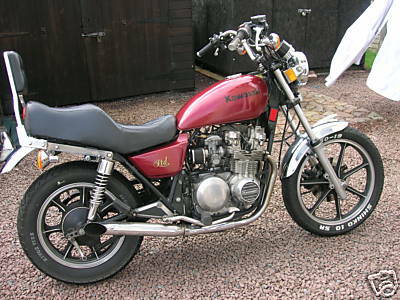 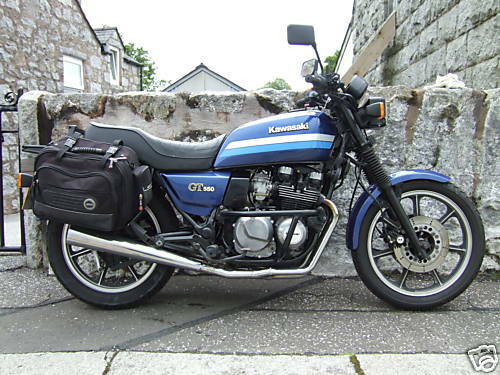 it marked also the beginning of a new styling phase at kawasaki in which colour-matching (generally in rather understated shades) and an angular line, replacing the adipose curves of the 1970s' models, were to be carried through the range. 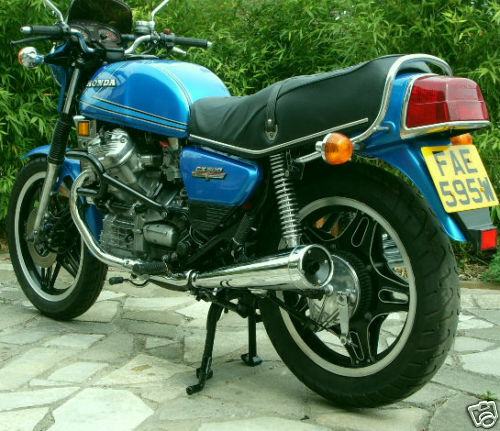 thus the 550 was finished in one colour &#8212; usually silver-blue &#8212; on tank, side-covers, seat support and tail, and front mudguard, with the cast-aluminium wheels in matt-black picked out with polished metal. 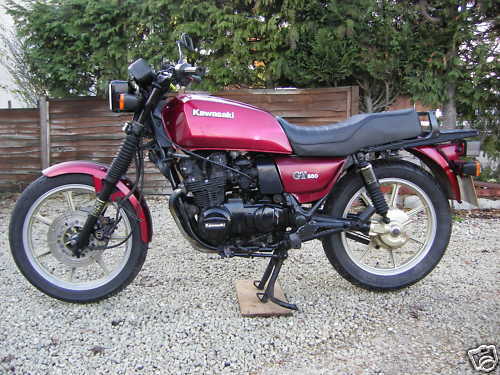 air cooled, four stroke, transverse four cylinder, dohc, 2 valve per cylinder. 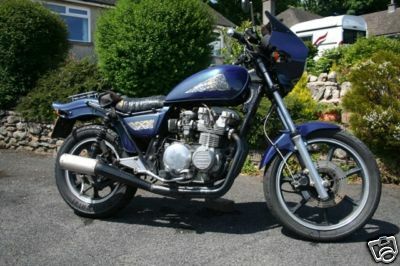 58bhp @ 9000rpm 192kg 6 speed.